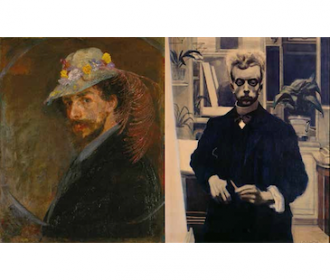 In Two Masters of Ostend, Mu.ZEE, the Art Museum by the Sea, introduces a superb new collection featuring works by James Ensor and Léon Spilliaert (1851-1928) in its brand-new wing. 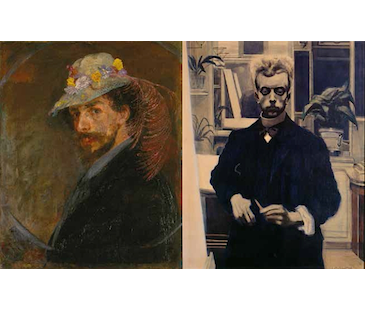 Although Ensor and Spilliaert were very different artists, their names are often mentioned in the same breath. It is the city of Ostend that binds them. Ostend and James Ensor are inextricably linked. Ensor loved Ostend: the city served as his muse and inexhaustible source of inspiration. The name of the painter Léon Spillaert, twenty years his junior, is also connected with this Queen of Seaside Resorts. His nocturnal rambles through the city and long walks along the beach spurred him to create his best works, dark and suffused with mystery. In Two Masters of Ostend, the museum aims, above all, to allow the masterworks that are the highlights of its collection to speak for themselves. Behind every work of art or document in the archives there is a myriad of anecdotes and tales featuring and recounting the lives of people such as the judge Eugène Demolder, writer Edgar Allan Poe, scientist Ernest Rousseau, bacteriologist Mariette Hannon-Rousseau, artist Willy Finch, writer and art critic Emile Verhaeren, poet and director of the ‘Kursaal' (casino) Henri Vandeputte, the patron and music lover Emma Lambotte, Brussels publisher Edmond Deman, art promoter and gallery owner Paul-Gustave Van Hecke, art critic and artist Théodore Hannon, philosopher Walter Benjamin, author Stefan Zweig, composer Richard Wagner, the French writers Honoré de Balzac and Alfred Jarry, the author of Don Quixote, Miguel de Cervantes, and the film-maker Henri Storck, to name but a few. They take the visitor back to the Ostend of a bygone era, reflected in the city as it is today.